Get all of the information you need on Orlando destinations for your family. With all of the best theme parks and attractions and the best resorts for families to enjoy, there can be an overwhelming amount of information for visiting one of the top destinations for families. 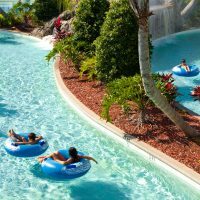 Looking for the best resorts for your next family Orlando vacation? Visit our 10 Best Orlando Resorts for Families page and choose from 10 of the best as voted on by families. You can also access the best Family Orlando Deals on hotels and find great packages for the area. Get more vacation tips, planning and ideas exclusively for families in our Family Trip Reports and Family Forums section, and be sure to review our 10 Best Orlando Attractions for Kids. Check out Special Experiences at Walt Disney World Resort Parks if you’re looking for unique experiences that your family will never forget. Be sure to check out our exclusive Orlando Vacation Guide for Families, offering plenty of useful information about Universal Studios, SeaWorld, the area’s most thrilling water parks and more!